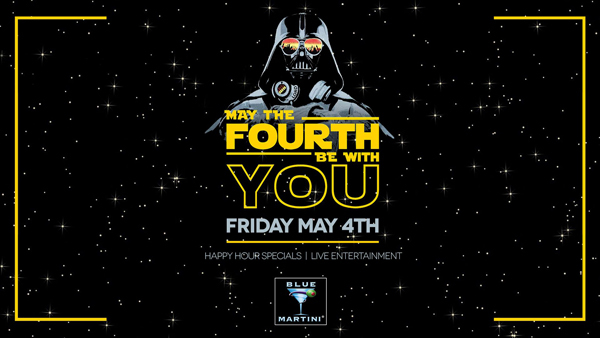 There’s a lot to celebrate at Blue Martini this May. The month kicks off with Star Wars Day and Cinco de Mayo! On Friday, May 4th it’s Star Wars Day – May the Fourth Be With You! Come dressed as your favorite Star Wars character to celebrate the popular franchise! Enjoy happy hours specials and live entertainment all night. Happy Hour times vary by location so be sure to call ahead for details. 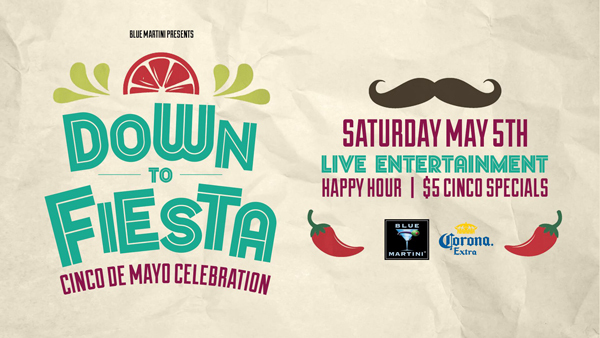 Saturday, May 5th is Cinco de Mayo so get ready for a fun fiesta at all Blue Martini locations! Enjoy a Saturday Happy Hour, $5 Cinco de Mayo specials and live entertainment. Happy hour times and specials vary by location, so please call ahead. No matter what the holiday, Blue Martini has something going on! Open 7 days a week, our specialty martinis are superb, our food is amazing, and it’s always the best party around!